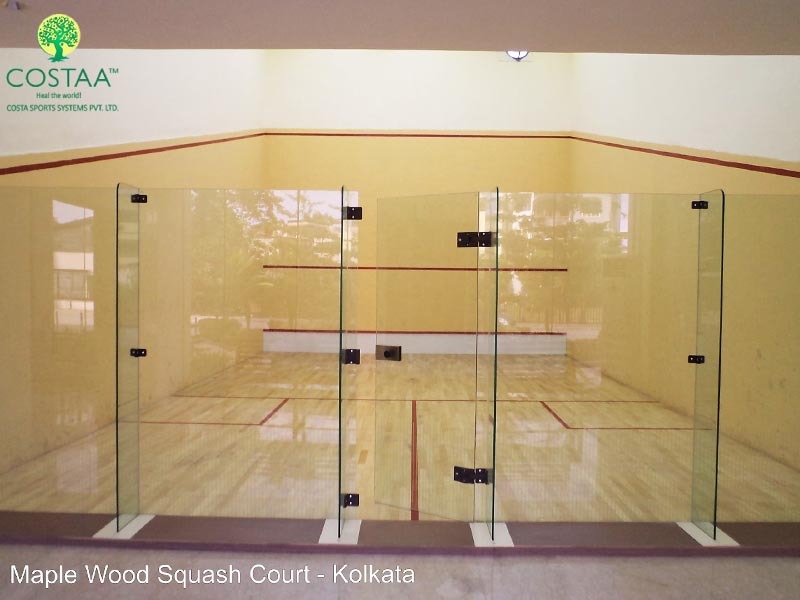 Glass Back Wall for Squash Court – Costa Sports Systems Pvt. Ltd. Squash is the game which has a promising future. As technology is advancing so is developing the look of the court. Setting a strong ground in the world sport these sport demands a lot to make it appealing to the mass. One of the ways is the addition of the glass walls. These walls make the sport look larger than life. COSTA with its positive endeavor is in the path of getting these courts decked up with high quality glasses. For long the sport has been the pastime of the posh but now many are getting involved from the very initial stage of school. The school demands safety of the child and at the same time a court that will bring in students and make them interested to take part in this game. We offer to maintain international standards set up for the game. Any club or school squash court can get a complete new look with the glass back walls. The glass back wall for squash court enables a good view of the game for the audience. The glass is used such that is able to withstand the continuous high energy impacts of the game. 12 mm glass is used to withstand the pressure of the hits without any breakage. The referee gets an easy view to monitor the game the game more minutely. We provide glass fills that are placed by professionals. A specific angle measurement is to be maintained during this installation and our experts take care of it responsibly. COSTA SPORTS SYSTEMS PVT. LTD.
COSTAA – Group of Companies is one of the most diversified multi-disciplines wood business enterprises in India. © 2019 Costa Sports Systems Pvt. Ltd. All rights reserved.